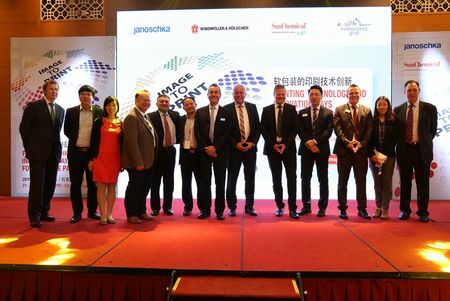 The “Image-to-Print” roadshow set up by Janoschka, Windmöller & Hölscher, Sun Chemical and Nordmeccanica recently stopped in China. Again in Shijiazhuang, the focus laid on the requirements and conditions of the local market. 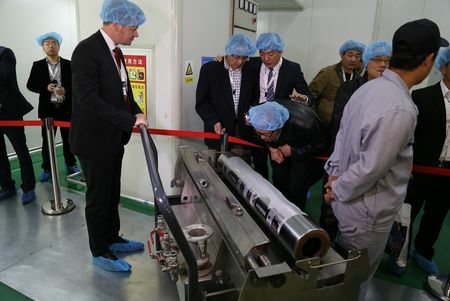 The program specifically highlighted the market developments, strategies and technical innovations in printing inks and printing tools as well as printing and laminating machines for gravure and flexographic applications. Besides presentations and think tank discussions, the agenda of the two day conference included a visit to the leading flexible packaging producer Hebei Qite Packing Co. Ltd. who granted the 160 guests insight into its running production on a Windmöller & Hölscher HELIOSTAR S rotogravure press and VAREX multilayer extrusion line as well as Nordmeccanica Simplex SL 1300 laminating machine. The symposium in Shijiazhuang is the fifteenth stop for the very successful Image-to-Print Roadshow, which has already visited Russia, Malaysia, Thailand, Brazil, Argentina, Dubai, Mexico, Indonesia, China, Vietnam, Italy, Poland, Hungary and Manila. For further information, please visit www.image-to-print.com or contact the organisation office.